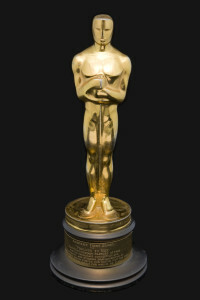 I haven’t seen Birdman yet, but I still know that Boyhood did not deserve to win, because I DID see Boyhood. And it wasn’t the deliberate lack of story that made it so, so forgettable. I didn’t see Boyhood in the theatres. I’m always slow catching up to movies. 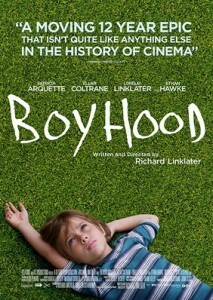 But even I started noticing the acclaim, the buzz, around Boyhood. When I started seeing the reviews I remembered hearing about the movie when it was being put together: the gimmick of following the actors over 12 years, so that they could age perfectly before our eyes. Sounded cool. I liked Dazed and Confused and loved School of Rock, both by Boyhood’s director Richard Linklater. So my wife and I downloaded it, and as is often the case, life and kids made our best laid plans gang’d aglay and it was weeks later before we would have a chance to watch it. 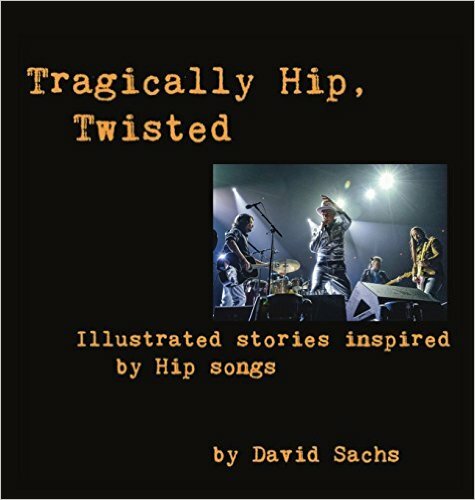 In those intervening days a funny thing happened. More and more critics raved about this not only being the best film of the year, but a work of art! A treasure! The best film for years! Rotten Tomatoes is a website that totals good vs bad reviews for movies. Boyhood achieved an unheard of 98% positive rating from critics! Because when everyone agrees on something, they’re usually wrong. And they were. 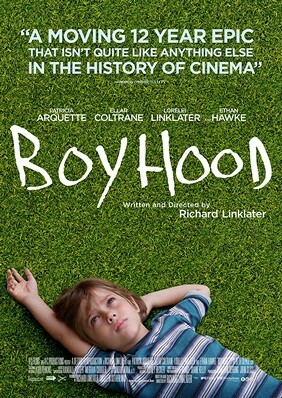 Boyhood is described as a “slice of life” kind of movie. A true picture of growing up. There is no story, because LIFE has no story! Well, at least if you purposely leave out any of the parts that might add up to one. Now, I don’t mind artsy films. I don’t mind slice of life, or non-story movies, which Dazed and Confused really was. I’m not an acolyte of Robert McKee, the story guru. McKee’s built an industry on the premise that good stories are CLASSIC stories: A hero with a regular life, thrust out of balance. A challenge to overcome. A “dark night of the soul” where all seems lost but the hero rises to the challenge; a climax; a resolution. Boyhood has none of those things. But that’s OK. Despite McKee’s protestations, good movies can be made without great stories. But they have to be interesting! There was nothing interesting in Boyhood. It was like they took the most interesting moments in a boy’s life and deliberately cut them from the film. I believe the idea here, the gimmick, was a winning one. The acting and directing are superb. But there are no interesting scenes, and when you start with the idea that you purposely won’t have a story, that’s a bit of a problem. Even typical lives have interesting moments, and often these are universal moments that we can all identify with. There was no first kiss here. I could go on about the moments they missed, but I think that encapsulates it; you can imagine other of those special and universal bits of typical lives. They left out all the special moments in this boy’s life. They gave us random breakfasts, random video game playing, and one interesting fight with a girlfriend. I’d tell you more, but who can remember?